Apollo Hospitals has dedicated some of the best surgical teams in the country at the helm, for spine surgery in India. The Spine Surgery Centers of Apollo Hospitals, India have many medical milestones to their credit - the first lumbar disc replacement in the country was performed at Apollo hospitals, and several cervical disc replacements and lumbar disc replacements have also been performed. The Centers perform the full range of spinal procedures from Minimally Invasive Spine Surgery (MISS), to major spine surgery procedures like complex spinal reconstructions. The units are also well known internationally for complex deformity surgeries as well as revision spine surgery. 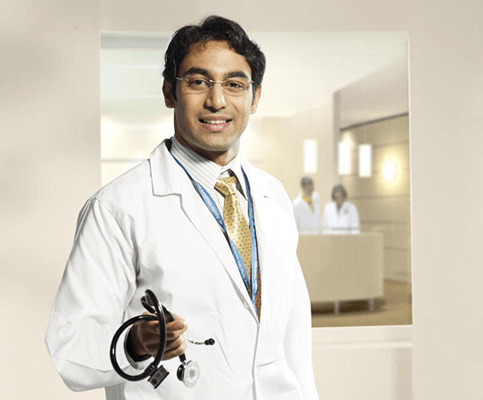 Apollo hospitals is indeed a pioneer and one of the foremost institutions for Spine surgery. In India. Indeed Spine surgery in India has seen many advancements and innovations due to the excellent Spine centres and the exemplary expertise of our Spine surgeons. The first to introduce 3rd generation spinal implants in India. The first to do a lumbar disc replacement in India. Performs the maximum number of spinal deformity corrections in the private health care segment in India.